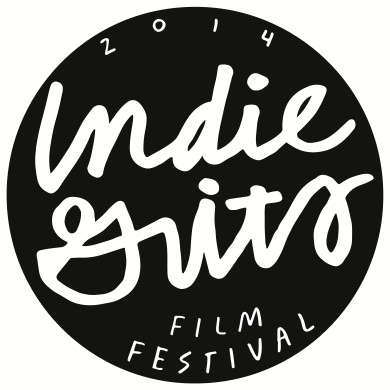 For the eighth year Indie Grits Festival, hosted by the Nickelodeon Theatre, features 10 days filled with all types of films, from experimental shorts to feature-length, along with music, food, and video games. As you’ll see below, Indie Grits expands from its film festival roots again this year to partner with Slow Food Columbia, Hip Hop Family Day, The Weekly Revue and Indie Bits, a new video game showcase in its inaugural year. Each year Indie Grits brings in a feature musical artists which has ranged from Toro y Moi to The Olivia Tremor Control. This year IG taps the Athens market and the Elephant 6 Collective again with of Montreal, a rock band who released their twelfth studio album Lousy with Sylvianbriar in October, 2013. General Admission: FREE for everyone! The Indie Grits opening party wasn’t always open to the public, but now it is and it’s become one of the premier free and open parties in Columbia, SC each year. This year the party moves to the parking lot behind the Nickelodeon Theater on Main Street. What’s a party without some rocking bands? Boring. So this year they’ve acquired the talents of the former Charleston now Nashville songbird Rachel Kate along with the fuzzed out desert rock of Shantih Shantih from Atlanta, GA. That’s not all. Girls Rock Columbia have a special act in store for the crowd as they promote their cause and gear up for this years summer camp. The Whig will be out slinging craft brews while they’ll be an array of food from pizza from Village Idiot, Sausage from the Wurst Wagon, Cajun-Creole dishes from Bourbon and Paradise Ice to satisfy your sweet tooth. Free for all ages and open to the public! Indie Grits once again partners with Love, Peace, and Hip-Hop to bring Hip Hop Family Day back to Main St. and promote a positive image, showcasing some of the best and brightest local hip-hop artists. The event focuses on the rich history of hip-hop culture, it’s importance, and its ability to empower listeners. The highlight of the day will be a performance from Slick Rick, along with up-and-coming artists, DJs, B-boy Dance Crews, cutting edge hip hop visual artists, and crafts & fashion from the southeast. Spork in Hand Puppet Slam is one of the most unique events at Indie Grits bringing together puppeteers and artists from across the southeast for an adults only performance. They describe the performance as “gloriously gritty evenings of experimental short puppetry and object theatre performances…a celebration of Southern puppetry that is off-the-beaten-path.” An added bonus for local music fans, Can’t Kids are the house band for this years slam. Potluck Participants: $10, for this lower-priced ticket, guests are invited to bring a potluck dish to contribute. At this ticket level, guests should bring roughly 20 small portions of a dish made with at least one sustainable, local ingredient. Another very unique addition to Indie Grits, Slow Food Columbia is back for its’ fifth year, serving up a massive feast of food which includes “food that is good for them, good for the people who grow it, and good for the planet”–the goal of the slow food movement. Chefs from all of Columbia’s top restaurants prepare dishes using at least one local sustainable ingredient, enjoying some friendly competition while we get to enjoy their dishes. Local foodies are also invited to bring their own sustainable dishes in exchange for a ticket at discounted price. Directed by Bill Morrison, The Great Flood tells the story of The Mississippi River Flood of 1927, the most destructive river flood in American history. The 80 minute film uses archival footage from the era, with minimal text and no spoken language along with a searing soundtrack. Accompanying the beautiful black and white imagery is a jazz suite composed by Seattle guitarist Bill Frisell. The soundtrack flows with the movie, with blues chords following the “great migration” of Delta Blues north to places through the midwest and to Chicago. Indie Bits is the latest addition to the Indie Grits festival, an individual gaming festival operating in conjunction with Indie Grits. The one day event celebrates independent gaming and interactive media design to foster collaboration between developers and enthusiasts and others interested in gaming and gaming technology. For the main event the Nickelodeon theatre will transform into an arcade with games being played on the big screen. Coming off its’ debut at SXSW this year, Big Significant Things follows 26-year-old Craig Harrison as he journeys through the South on a road trip before moving across the country and becoming a homeowner with his long time girlfriend. When the Bough Breaks is a production of the S.C. Education Oversight Committee and a presentation of the Children’s Law Center of U.S.C. From the Producer and Director of CORRIDOR OF SHAME; the neglect of SC’s rural schools. Director and Producer, Bud Ferillo, will be introducing this event and hosting a Q&A afterwards. This experimental documentary explores the culture and lived experience of Church of Jesus Christ of Latter-day Saints, often referred to as the Mormon faith. Liahona offers different perspectives of the faith and the complexities of Mormonism. Feature film As it is in Heaven is a portrayal of a cult leader who tries to keep his community together after his end of days prophecy he promises comes and goes. While visiting her brother who is on death row in Livingston, Texas, Delia Perez Meyer is introduced to vast community surrounding the prison system. Full show preview to come. Last Stop, Flamingo explores Florida past and present, and the way humans have shaped the peninsula since its discovery 500 years ago. A West Virginia family puts their lives back together after their daughters battle with leukemia as she eyes a run at Little Miss West Virginia. This full length docu-comedy re-enacts the night of 10 individuals who tell the unbelievable story of their New Years night in a limousine and after. Hosted by the actor, comedian, and master of ceremonies, Toby David, The Weekly Revue travels for the first time as part of this year Indie Grits festival. This curated open mic variety show features music from NC trio Mipso along with New Orleans filmmaker Bill Ross and local political reporter Jamie Self. More variety show acts to be announced. Four short films funded through the Indie Grants program, made possible by the South Carolina Film Commission and Trident Technical College. Roman Clower returns home to Greer, SC after a meltdown on stage on the Blue Collar Comedy tour. 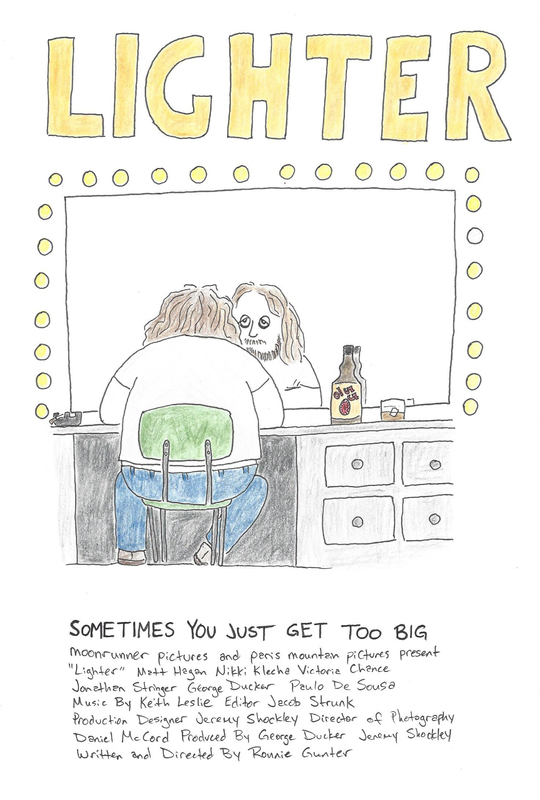 Clower has to put his life back together as he struggles with his desire to become a serious actor, dealing with old friends and family, and struggling with his own self after fame has made him bitter and jaded. A man’s journey to get back to who he once was. Winning films show from 4-10PM at The Nickelodeon Theatre.